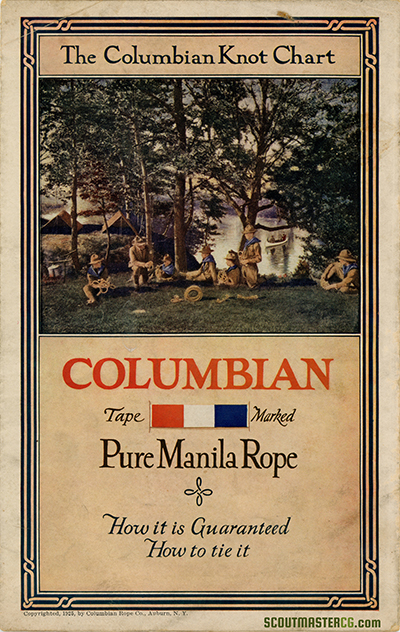 In 1925 the Columbian Rope Company published a brochure with images of impressive displays of Scouting knots to advertise their tape marked pure manilla rope. 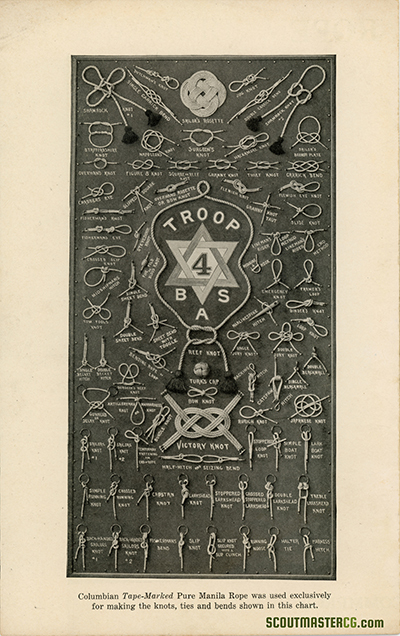 Two images feature a large knot board made by Troop 4 of Columbus Ohio. 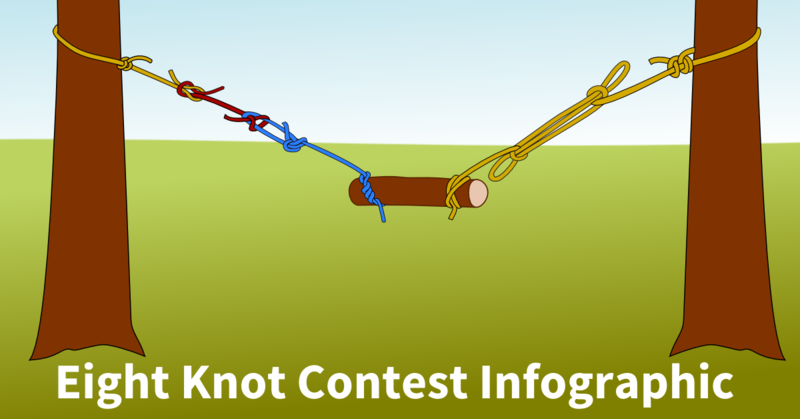 I wonder if that knot board is still around? 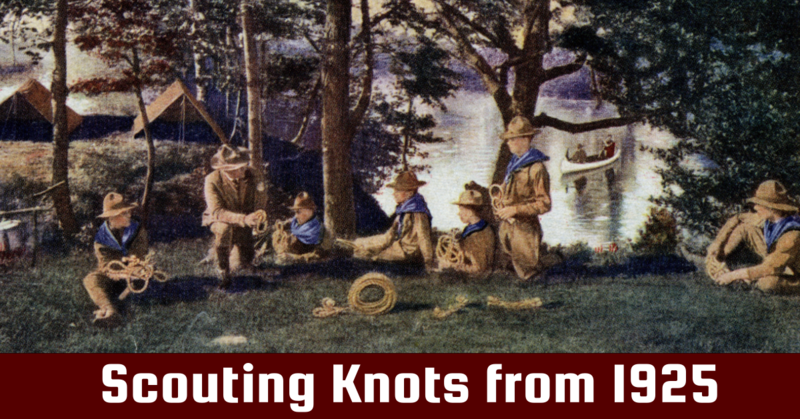 Artful knot boards pictured in the brochure feature some practical Scouting knots. 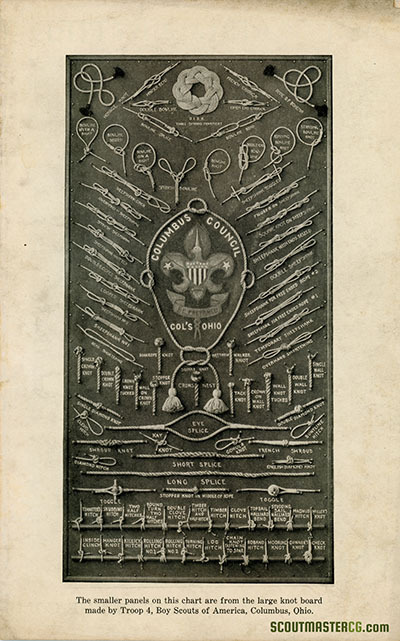 The brochure unfolds to a center spread of more knot boards made by the Columbian Rope company featuring dozens of knots, bends, splices, and weaves. 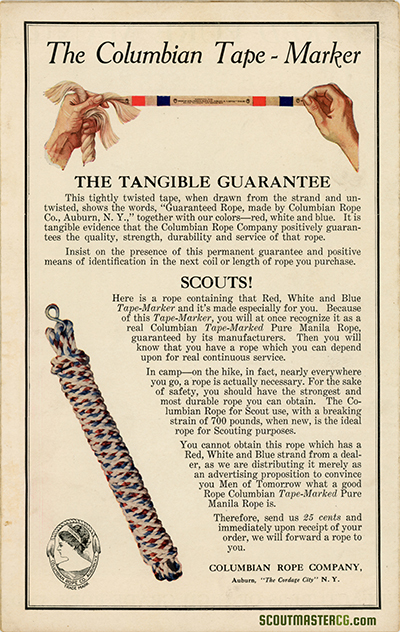 Scouts were offered an exclusive red, white, and blue Columbian rope for Scout use (not available from dealers!) 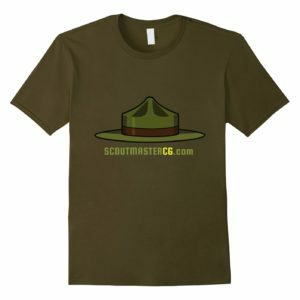 for .25 cents. 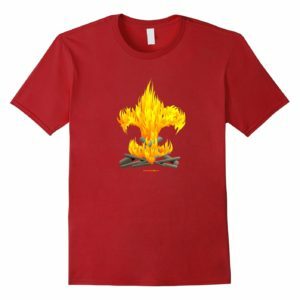 The Columbian Rope Company, founded in 1824, made Auburn, New York “cordage city”. 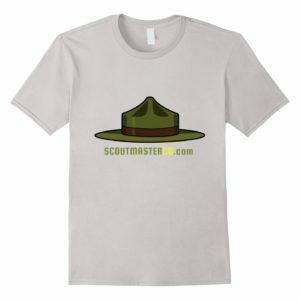 The company is now part of Unicord. 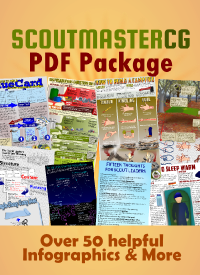 Here are some lower resolution images of the brochure, I’ve put high resolution scans in a 127 MB PDF you can download – scroll down to the end of this post. 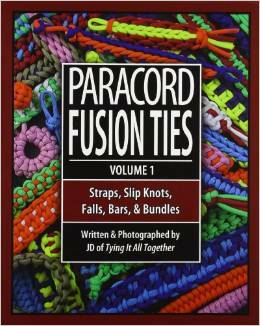 I have the Kindle edition of Volume one of Paracord Fusion Ties (there are three volumes). 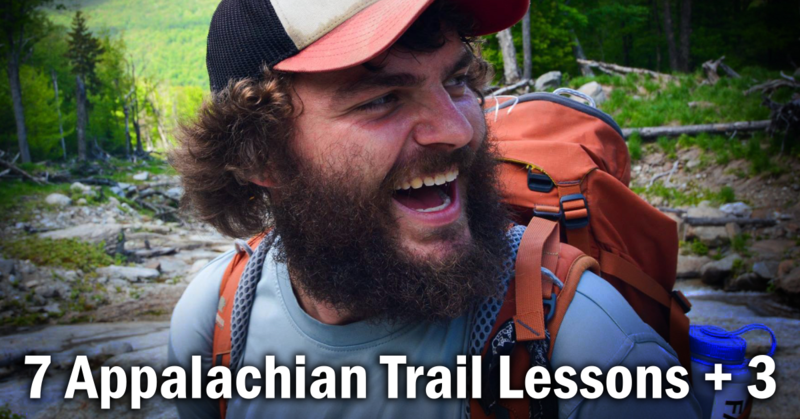 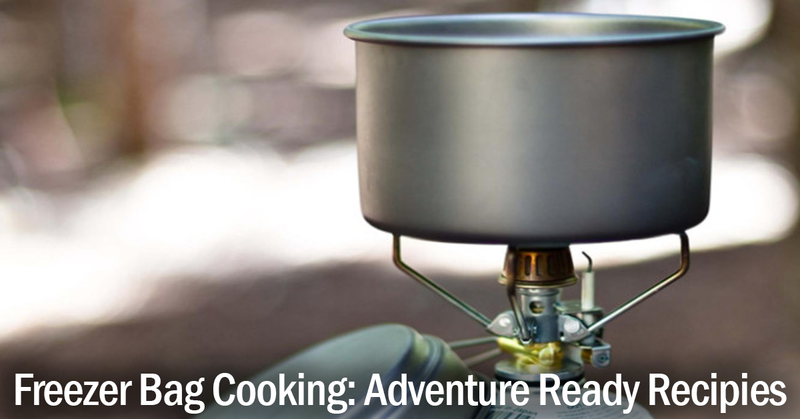 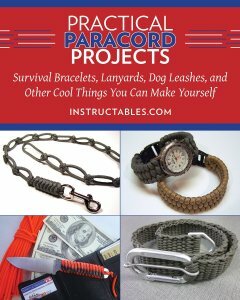 It has very easy to follow illustrations and I recommend highly, the number of things you can make with paracord is nearly endless, The Author’s website is a treasure-trove of on instructional videos and tutorials. 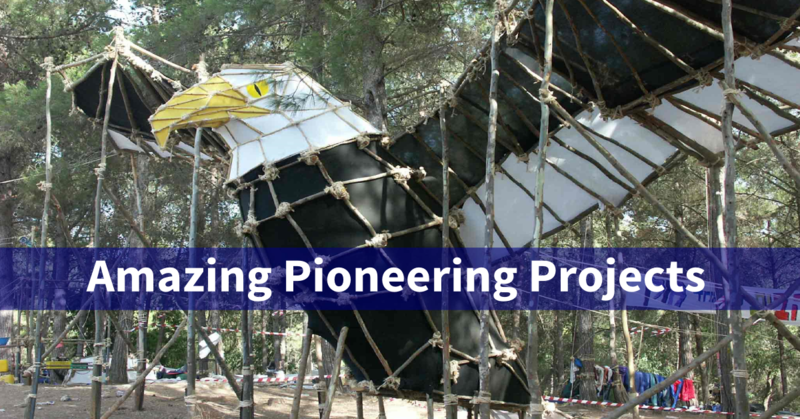 Just curious where and/or how you found this? 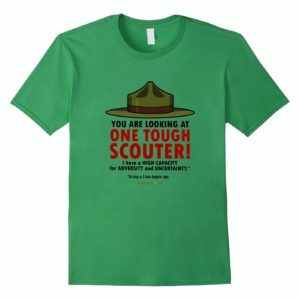 This is a real gem! 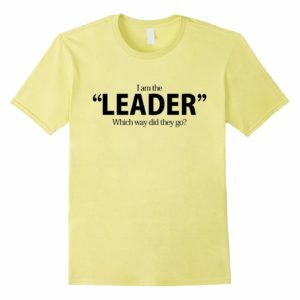 I donlt remember exactly – probably on eBay? Can’t see the download link. 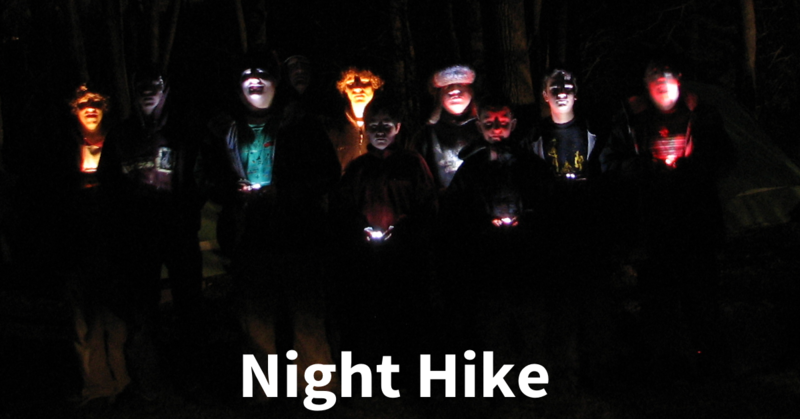 Scroll down to the bottom of the post, blue download button.